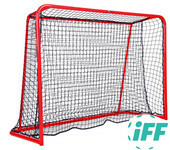 This category contents the floorball indoor equipment, which includes: floorball goals of various sizes - from the smallest 60x45 cm to the largest 160x115 cm. 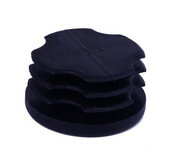 We also offer a cheaper alternative goals - collapsible goals that are easy to store and perfect for home playing. Floorball nets inherently belongs to the goals, and if your goalkeeper is not available or if you go to the individual training, it is good to use goal busters. Another part of the field is also a floorball rink that should be the essential part of the floorball field. 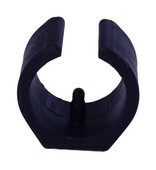 Our shop sells only top quality and safe to use floorball rinks. 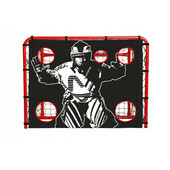 eFloorball.net recommends also My Floorball accessories to spice up your training sessions, enjoy a floorball even more!